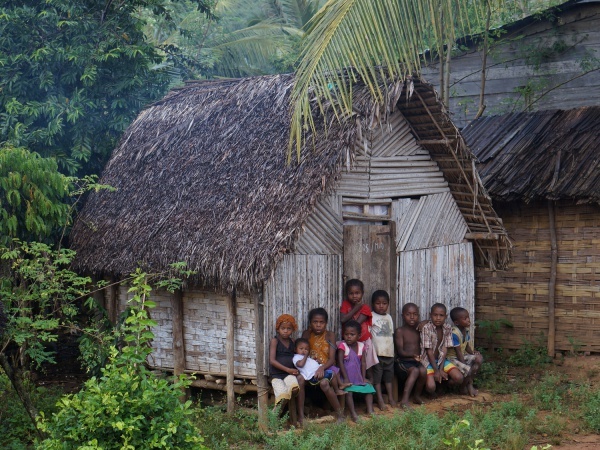 Ambalaharongana is a very small village in the north east of Madagascar. The village is located next to a river on the Masoala Peninsula. Ambalaharongana has a school, two shops and a football field. Hotel Fitsaharana offers rooms and meals to by-passers trekking between Maroantsetra and Antalaha. From Ambalaharongana to Marofinaritra, where the road to Antalaha starts, it takes between 3.5 and 4 hours by foot. This page was last modified on 5 September 2016, at 22:38.